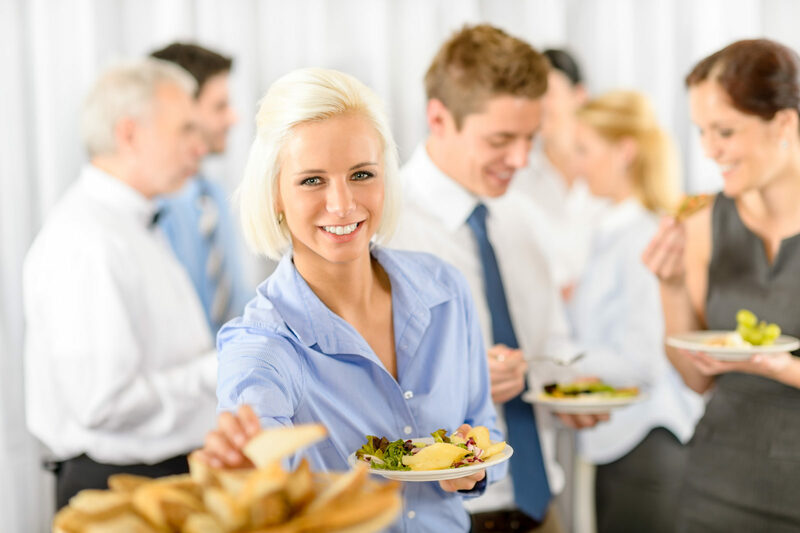 Networking is about making connections – a simple premise yet the thought of attending networking events often strikes fear into the hearts of many. Here are 7 top tips for getting into the right mindset and making the most of the opportunity. What are you hoping to achieve through networking? Ultimately, for most people it’s about making sales – however, particularly in high value professional services, it’s unrealistic to expect to come away from a network meeting having sold something. If you think in these terms, what can you realistically gain from a single networking meeting? Having an objective of having spoken to 3 people and agreed a follow up conversation with one is much more achievable than having made a sale and enables you to come away feeling the session was worthwhile. Remember that networking is a 2-way thing and that you might be building connections with people you might want to buy from too or seeking an enjoyable social environment if you work alone from home. Have you got a voice in your head which is unhelpfully feeding you negative thoughts about going networking? I have my intro on a card and I can read it if I need to. There will be other new people there too so If I smile and look welcoming we can get together. Unless I give networking a go I won’t know if it works for me or not. Help by preparing by finding out more about the group and who goes. Find out what people wear and choose something that you feel comfortable in and reflects your business and personality. Use confident body language, walking tall, keeping your head up, smiling and actively looking for someone on their own or a group which has an ‘open circle’ – ie has left open a side where someone new can join. There are loads of networking groups around and it’s likely that there will be a number in your locality. There’s no perfect place to network and if you start getting too scientific over whether the profile of the attendees fits your target audience you might never go to any group! Remember that this is about building connections and the question to ask is could the people who attend the event be good advocates for your business and a conduit to potential buyers? If the answer is yes then it’s worthwhile. Format/structure – eg informal stand up networking or structured format with chance for 1-1 meetings. Take the opportunity to visit before joining. Go as a guest to groups that other contacts go to. Look for other events, often free, where business people gather – local Chamber of Trade events, B2B seminars, etc. Relationship building takes time. Repeat appearances at the same group and regular conversations with the same people will enable them to get to know you better – and you to know them. If there are opportunities to speak at the group then book in a slot – it will get your name more widely known – or volunteer to help with the group administration. The brief time usually available in networking sessions is not enough to grow real understanding so do arrange more depth 1-1s outside the group – stay on afterwards, arrive earlier or arrange to meet for coffee at another time. Follow up with everyone you talk to/exchange cards with at a group meeting – follow up on any promises you’ve made to send information, Link In with them and add them to your contact list. Ideally have a regular e-mailer to all your contacts (eg via Mailchimp) with useful news, tips and advice relevant to your business. If you are developing particular contacts then you might follow them up individually and send them things of interest. When you feel confident to pass on a referral then let them know that you’ve done so – even if it doesn’t come to anything. Look for opportunities to use your new contacts as suppliers to your business or ask them for recommendations for trusted people they’ve used. If someone gives you a referral, let them know what happened. The more you ‘give’ the more you will get back. 5. Use your Ears more than your Mouth! The top skill for any sales person. Rather than wading in with the intention of talking about yourself and your business, shift the focus to finding out about the other person so that you can spot the synergies, help them feel important in the conversation and take that vital step towards them ‘liking’ you. How long have you been coming to this group? What’s the biggest challenge in business for you at the moment? What sort of referrals are worth your while? Don’t hijack conversations by turning the focus back to you. It may be something about the way you dress, your smile, your confidence or your company name – what is it that will help you stand out from the crowd? I’ve seen some people stick with a particular colour jacket or tie; others sport their company logo on shirts; some have rebranded their company to get over what they do more effectively (“XL Addict”, “The Office Fixer” and “Death and Disease” [life and health insurance!] are my favourites) while others use props in their intros as a ‘hook’. Having your photo on your business card is a useful memory-jogger. If you’re able to display a banner stand do invest in one with some key messages and graphics that back. If it’s a networking group where you get chance to do a short intro be prepared and practise what you could say. Below is a good structure – make sure you think about the audience and their interest in what you do – ‘what’s in it for them?’. Props really help if they are relevant to your business – or a photo large enough to show. Why someone should talk to you? Remember that as you’re giving your intro many of your audience are preoccupied with worrying about giving theirs! Let your body help you feel confident by keeping your head up, standing firmly with an open posture.